Welcome to one of our new favourite cities! After two visits to the city we’ve gathered enough info to share our top things to do in Bordeaux with you, including the ‘usual suspects’ and some quirky things! This is by no means an ‘ultimate guide’ but we’ll be adding to it during our future visits! All hail small cities. Over the last few years, European capitals have become pretty much impossible to visit – cities like Budapest and Barcelona are chockablock with tourists, not only in summer, but in winter as well. During our Interrail trip in summer 2015 we got so fed up of having to battle with crowds anywhere we went that we came up with a decision for our future travels – we would try to visit small cities as much as possible, and only head to larger cities away from peak season. After all, Dresden is just as nice as Prague – and has a fraction of the visitors. Porvoo is perhaps even more magical than Helsinki, and Gothenburg in Western Sweden may not be as spectacular as Stockholm, but it has a really cool hipster vibe. And then, there’s Bordeaux. A bit like Paris, but minus the annoying bits – the traffic, the crowds, the inflated prices. 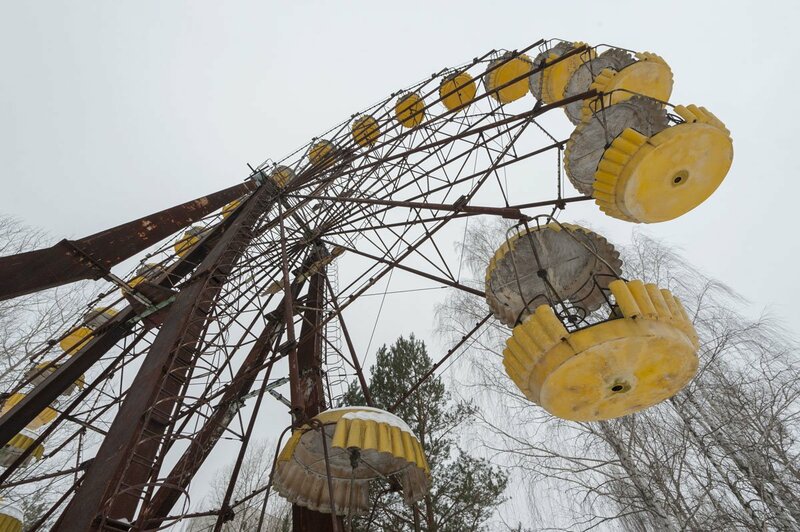 At least, that’s how it felt to us visiting off season. We had the chance to visit Bordeaux twice over the last year, just before our two house sits at Chateau Feely, an organic winery in southwestern France. 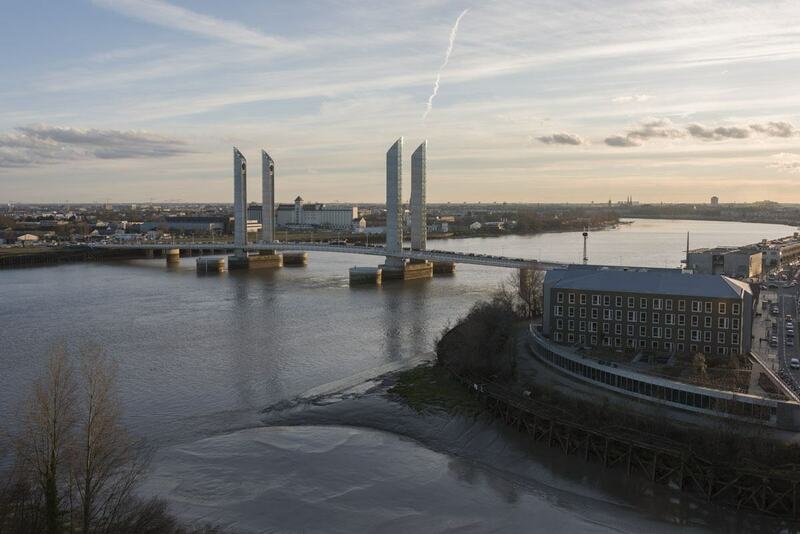 Bordeaux is a compact city, easy to visit, but it offers a vast variety of points of interest and things to see – not to mention excellent restaurants! Two visits were definitely not enough for us, and we’re already planning to return in summer to explore more! Meanwhile, check out Jennifer’s Ultimate Guide to Bordeaux – she’s a local, and her blog is full of delicious Bordeaux tips! 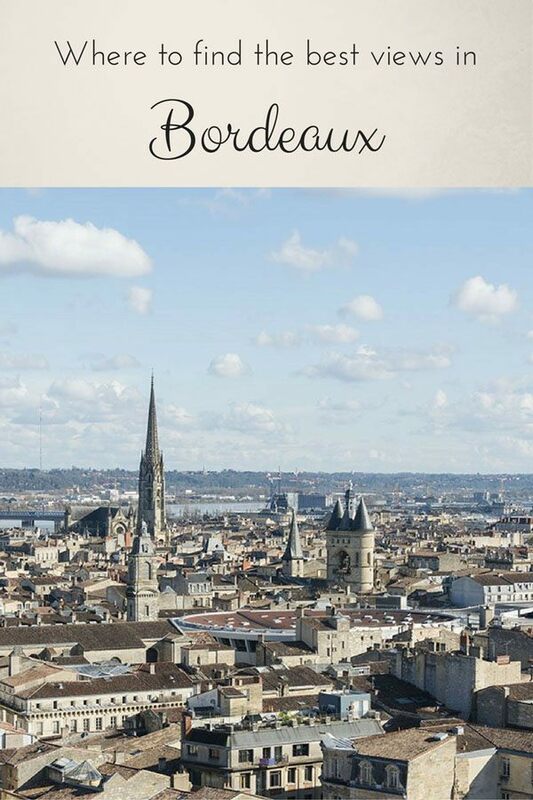 Here’s a brief guide to our favourite things to do in Bordeaux. 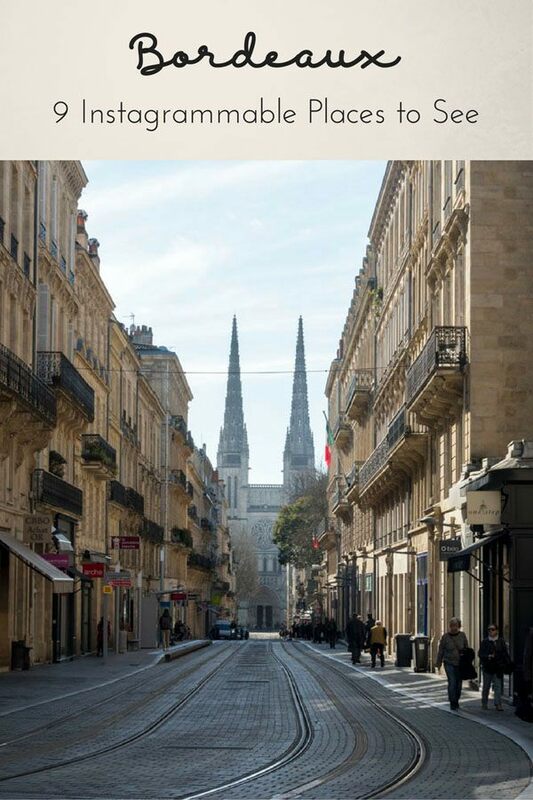 This is a work in progress, to which we’ll be adding over and over again as we return to the city – so feel free to let us know your top things to see in Bordeaux and we’ll make sure we add them to our next visit! 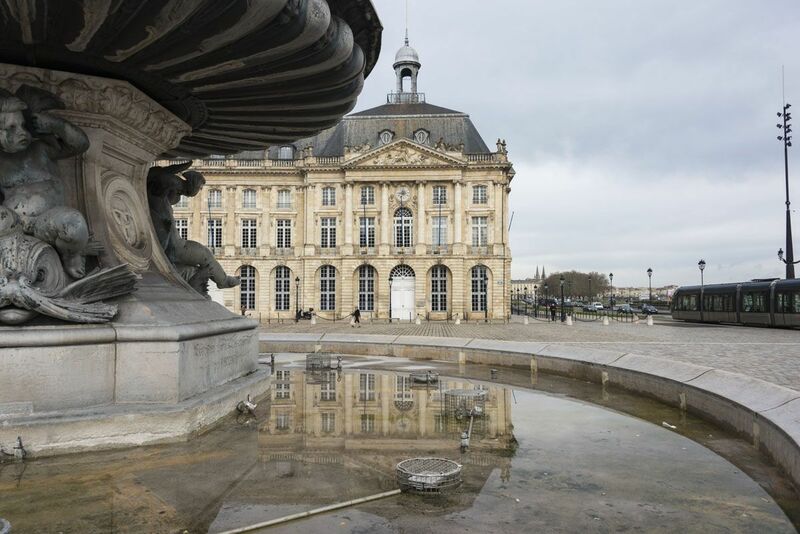 This is Bordeaux’s most famous square, one of the most recognizable symbols of the city. One of the things I love best about Bordeaux are its elegant 18th-century honey-coloured buildings, and Place de la Bourse is the place where the harmony and grace of late-Baroque architecture create the most beautiful ensemble in town, a perfectly symmetrical square facing the Garonne river. Place de la Bourse is stunning as it is, but a few years ago another feature was added to it, making it truly unique – Le Miroir d’Eau, a row of mini-fountains creating a giant water mirror reflecting the image square. In summer, le Miroir d’Eau is also a wonderful place to get some respite from the heat. Sounds amazing, right? But do bear in mind one thing. Le Miroir d’Eau doesn’t function in winter. I guess it’s because the cold would turn the water mirror into a giant frozen lake – so if visiting Le Miroir d’Eau is a priority for you, make sure you visit in spring or summer! Every great city has a river, right? 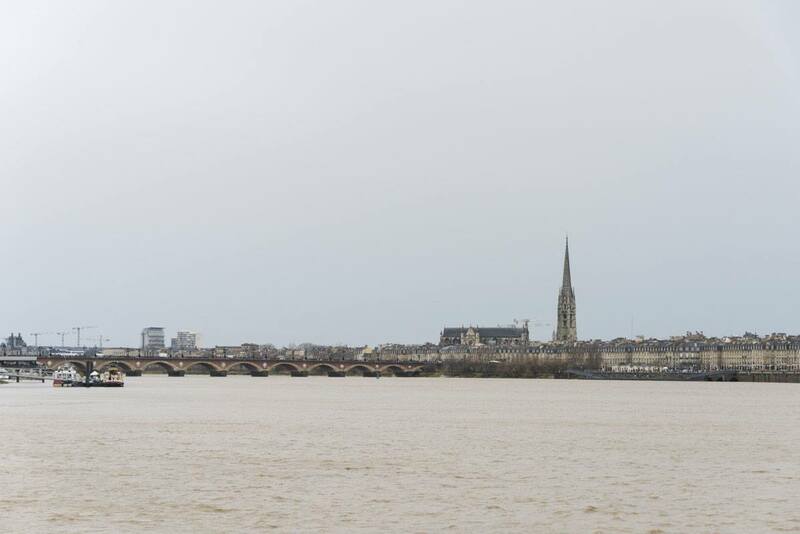 Bordeaux is built along the banks of the Garonne river. 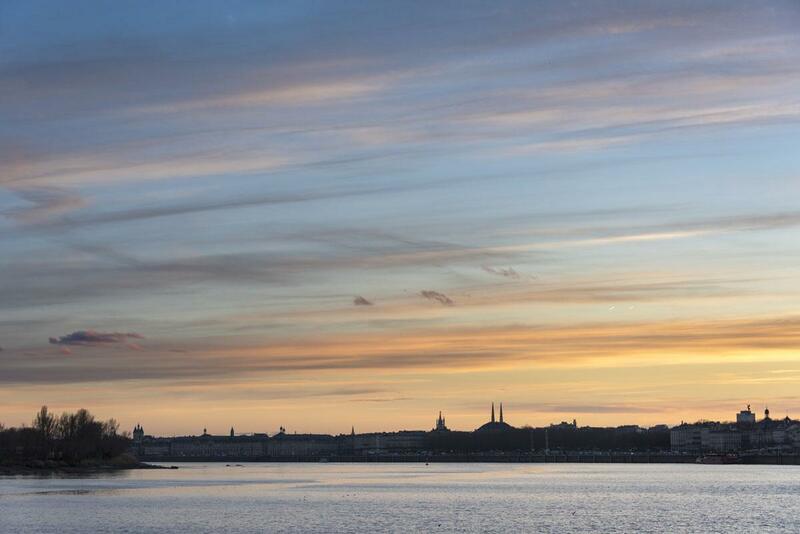 Most of the city is built on the left bank of the river – the right bank is an up and coming destination, where you can find art galleries, parks and even a former submarine depot now turned into a venue for art exhibitions. 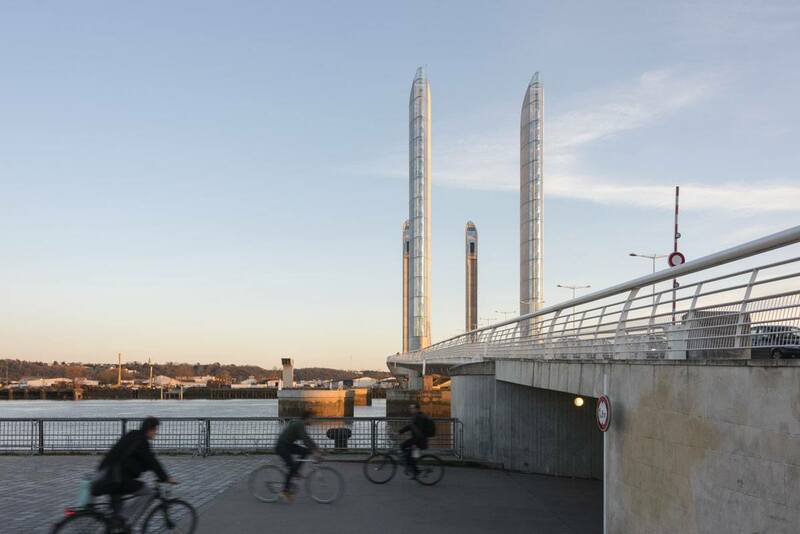 You can walk, run or cycle down the series of quai running all along the river – from Quai Sainte-Croix near Saint-Jean station to Quai Bacalan in the north of the city it’s just over 4 km, making it a wonderful idea for a self-guided walking tour, or for a sunset run. The quai pass several Bordeaux points of interest, including the Pont de Pierre, the most famous bridge of the city, le Miroir d’Eau, Place des Quinconces (the largest in Europe!) and finally the Cite du Vin, the newest tourist attraction in town! The historic centre of Bordeaux-Port of the Moon (taking the name from the crescent shape of the Garonne river as it flows through town) is UNESCO-listed because of its stunning 18th-century architecture. It was during that century that the city was rebuilt – from a walled medieval town, it became one of the most elegant and modern cities in France, and its renovation was used as a blueprint for several other cities, including Paris. 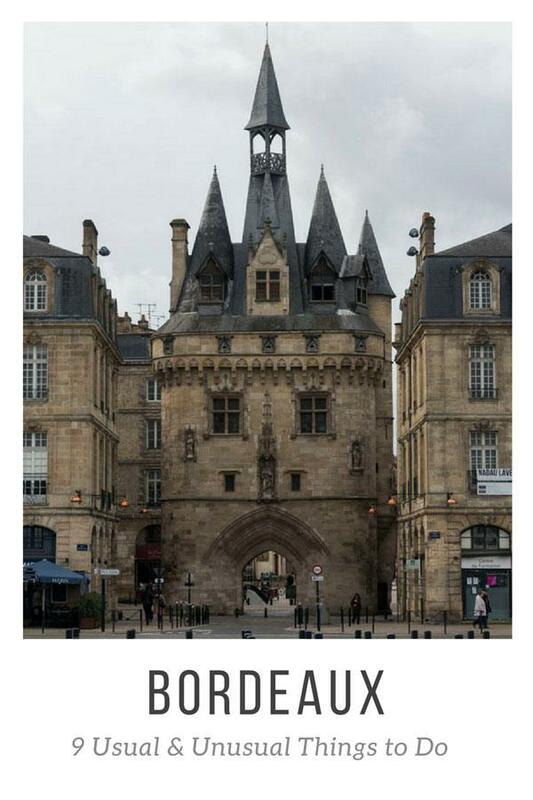 Bordeaux’s historic centre extends roughly from St-Jean station to Place the Quinconces, and it’s fun to explore – our favourite part is the Saint-Pierre Quarter just behind Place de la Bourse, where you can still catch a glimpse of the medieval city plan, with twisted backstreets and hidden squares. Saint-Pierre is also full of local restaurants and wine bars, and becomes especially lively in the evening. Other tourist attractions worth seeing in the historic centre are Rue Sainte-Catherine, the longest pedestrian street in Europe at 1.4 km long, the Basilique Saint-Michel surrounded by a multicultural neighbourhood, the Marche des Capucins, a fresh food market where you can taste the famous oysters from Arcachon, the Musee d’Aquitaine and many more! One thing that we love doing anywhere we go is finding a tower or hill to see cities from above. 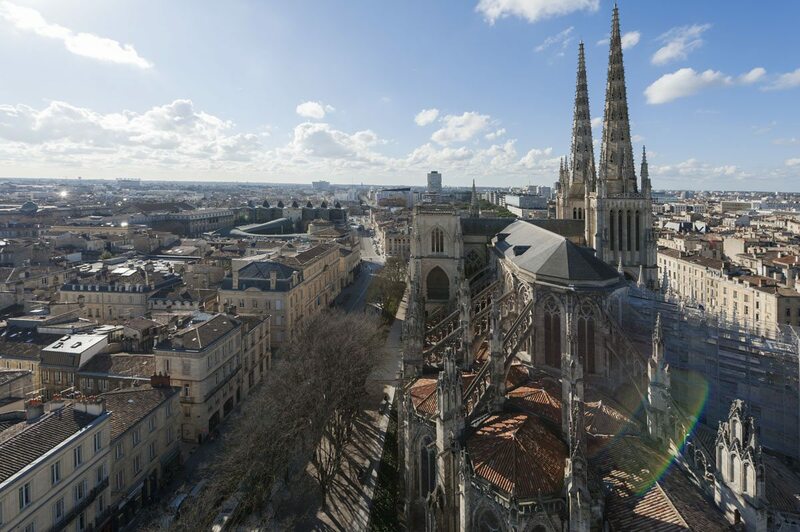 The best view in Bordeaux can be enjoyed from the Tour Pey-Berland, the Gothic belltower built right next to Cathédrale Saint-André – the tower is freestanding, separated from the Cathedral to protect the latter from vibrations caused by the bells tolling. You can walk up to the tower easily – after all, it’s only 229 steps to the top! The view is definitely worth the effort. Another stunning view can be enjoyed from the top of La Flèche Saint-Michel, the freestanding belltower next to Basilique Saint-Michel – in this case, you’d be able to get a better view of the river, but the historic centre would be further away. The Camino de Santiago was one of our favourite trips of all times, and the experience that sparked our love for long-distance hiking. 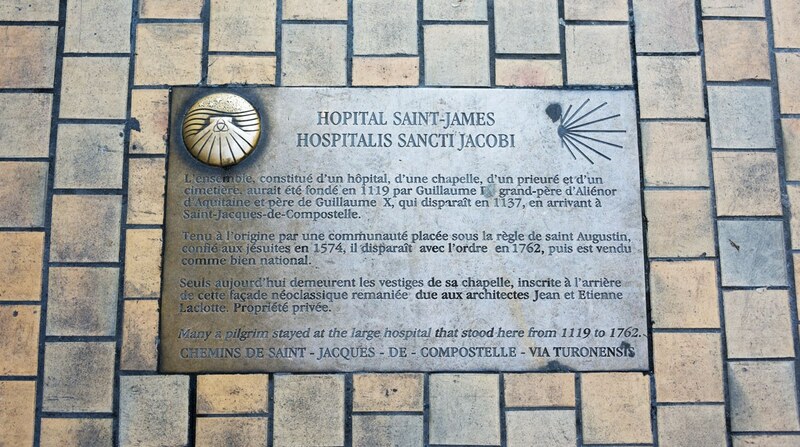 So, when in Bordeaux we noticed the famous shell-shaped road markers that we followed for a month and a half in Spain three years ago, we got an idea – why not spend an afternoon walking the Bordeaux section of the Camino de Santiago? This was the idea, but it was hard to keep track of all the markers, so we just ended up visiting Camino-related sights such as the Saint-Seurin Basilica and Porte Saint-Éloi, one of the gates to enter the medieval city used by pilgrims heading to Santiago, also known as ‘Grosse Cloche’ because of its big bell. I think that a day-long tour across Bordeaux following the Camino is a brilliant idea – next time we’ll plan better and plot our course beforehand! 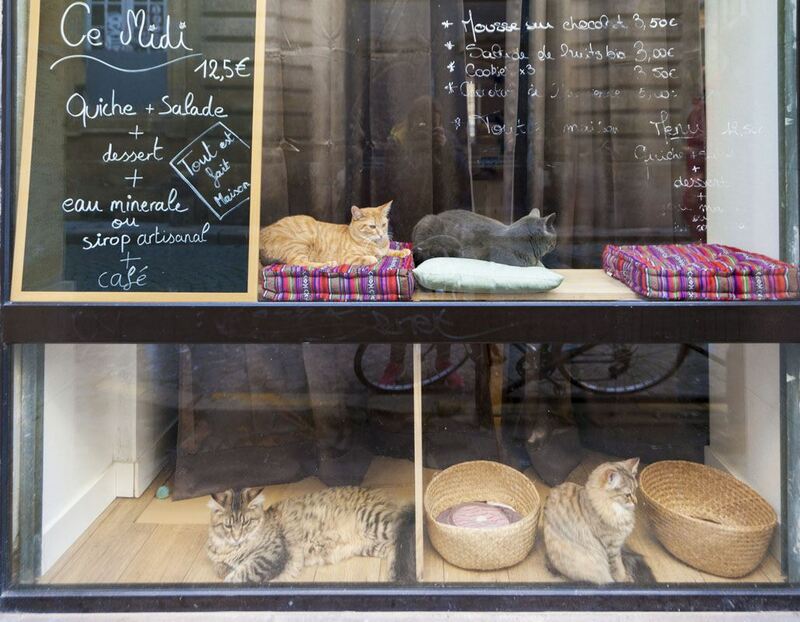 Right around the corner from the Porte Saint-Éloi we spotted four cute kittens sleeping behind a glass window – meaning there was a CAT CAFE! We love visiting cat cafes anywhere we go – during our stopover in Finland we even made sure we had enough time to visit one, so naturally we entered Le Comptoir des Chats, Bordeaux’s first (and so far only) cat cafe. How can you resist this place? We had a lovely time at Le Comptoir des Chats. The kitties were relaxed and (seemingly) happy to be around people, and there was plenty of space for them to move about or hide. 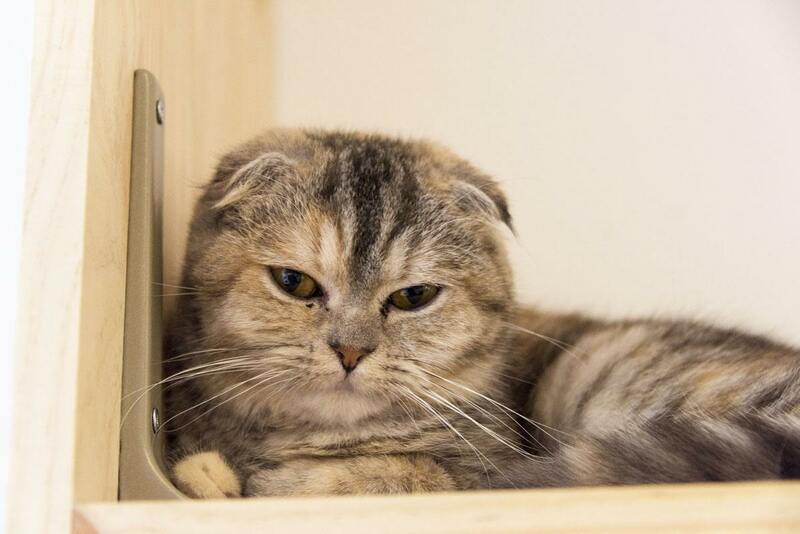 We spoke to the owner who was a real cat lover, not simply someone who jumped onto the cat cafe bandwagon, something that made us feel even better about the place. The cat cafe also serves an excellent €12.50 lunch, including a slice of homemade quiche, salad, dessert, coffee and water with homemade syrup – and everything is organic! 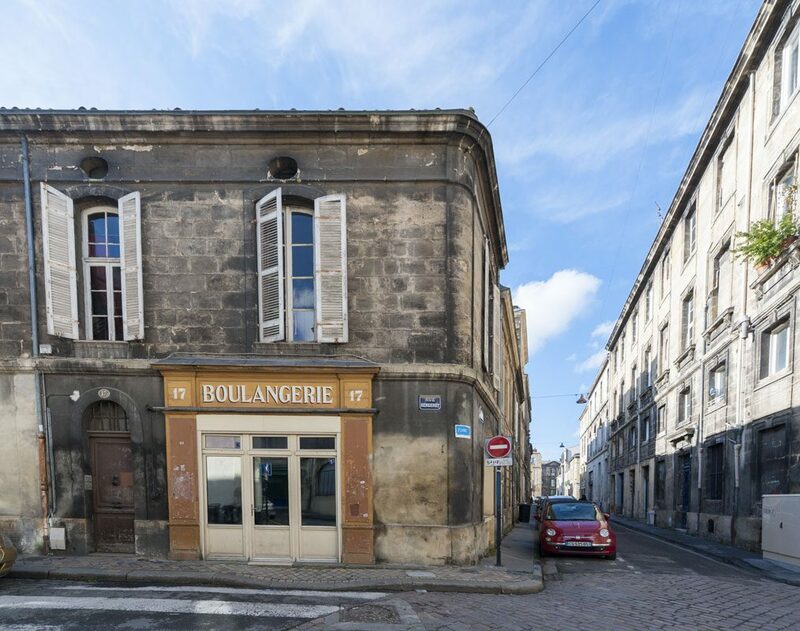 This is Bordeaux’s newest point of interest. 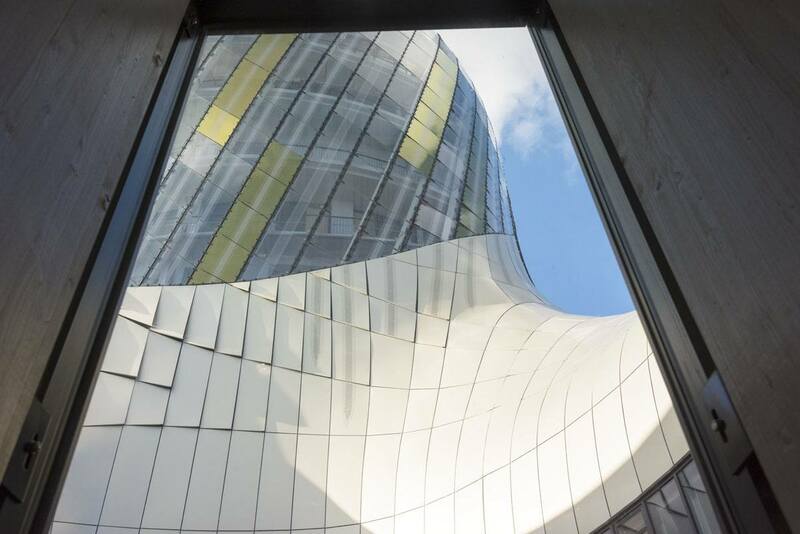 La Cité du Vin is an interactive exhibition centre dedicated to the world of wine, housed in a modern building shaped like a wine decanter in the northern part of town. 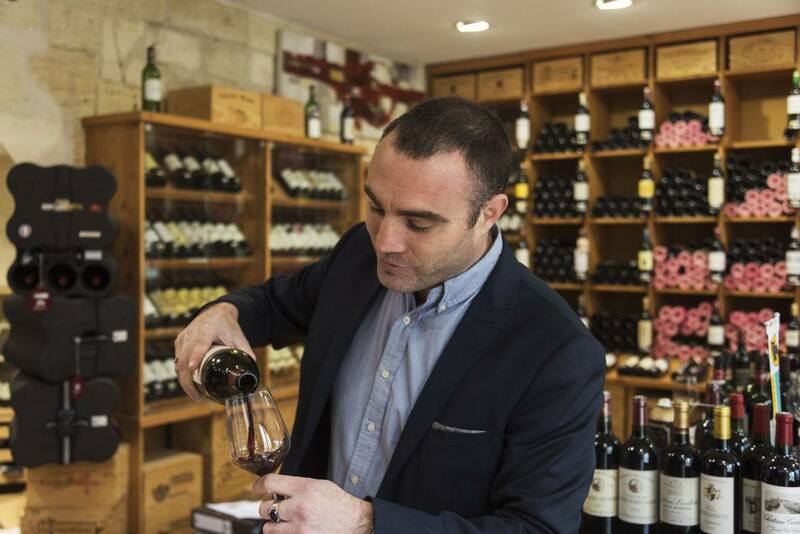 If you’re a wine lover, this is an absolute must – there are also wine talks and workshops, a restaurant, a wine bar and a wine shop selling the best labels from Bordeaux and beyond. A day at La Cité du Vin is completely worth the €20 entrance ticket, which also includes a glass of wine from the rooftop panorama bar, with a wonderful view over the river. The permanent exhibition is located on the second floor of the building, and includes lots of interactive stuff which will also be fun for children. You’re given an audioguide and are able to move freely between the exhibits, deciding what and when to listen. There are exhibits dedicated to the history of wine, the concept of terroir, wine and food pairings and more – we spent three hours at La Cité du Vin and could easily have spent more, so make sure you allow enough time! If you’re looking for a truly romantic experience, you could make your way back into Bordeaux on a wine tasting cruise along the river – at sunset, it’s simply magical! To be honest, there’s no such thing as ‘wine bars’ in Bordeaux – pretty much any bar is a wine bar, and you’ll be able to enjoy delicious reds and crisp whites even in the tiniest bistro in town. If you speak a little French, you can usually just go and sit at the bar, tell the bartender what you like and how much you’re willing to spend, and enjoy your own personal ‘degustation’. We do love wine but don’t really know that much about Bordeaux wine, and often wine lists in this region tend to be a bit confusing for newbies – Bordeaux wines are usually blends, so you’ll only found the winery names and years on the wine lists, no other info. But trust me, more often than not wines are excellent and great value for money! Trust the experts when wine-tasting in Bordeaux! We can recommend two wine bars in Bordeaux to spend an evening tasting wine at leisure – Aux Quatre Coins du Vin in the Quartier Saint-Pierre, and Le Verre Ô Vin near Quai des Chartrons. They are both very popular, so reservations are recommended! Aux Quatre Coins du Vin has ‘wine stations’ with bottles connected to Enomatic machines. You receive a card that you can use to pour your own tastings – but be careful, as some wines cost €20 or more just for the smallest size pouring available! Le Verre Ô Vin is a ‘regular’ bar, but it’s highly recommended for the excellent homemade pates and charcuterie boards, perfect to accompany Bordeaux wines. 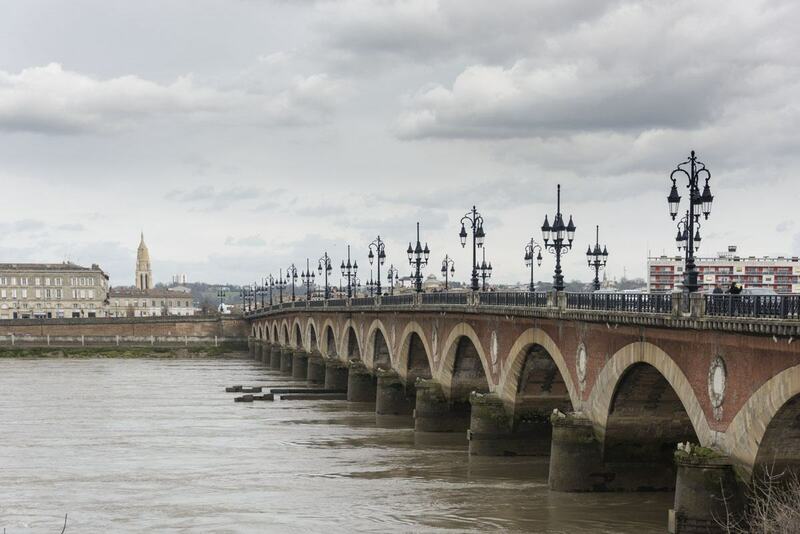 Cycling along the river – another awesome thing to do in Bordeaux! Another thing to do in Bordeaux is a wine tour to the wine-growing regions surrounding the city, to learn where the wonderful wines you’ve sampled in Bordeaux’s bars and restaurants come from. There are a variety of tours on offer, and the two most popular destinations are Medoc and Saint-Emilion region, representatives (respectively) of Left Bank and Right Bank Bordeaux wines. The difference between right and left bank wines is worthy of a blog post alone – to summarize, left bank wines are stronger, more tannic and better suited to ‘aging’, whereas right bank wines are softer, smoother and with fruitier notes. 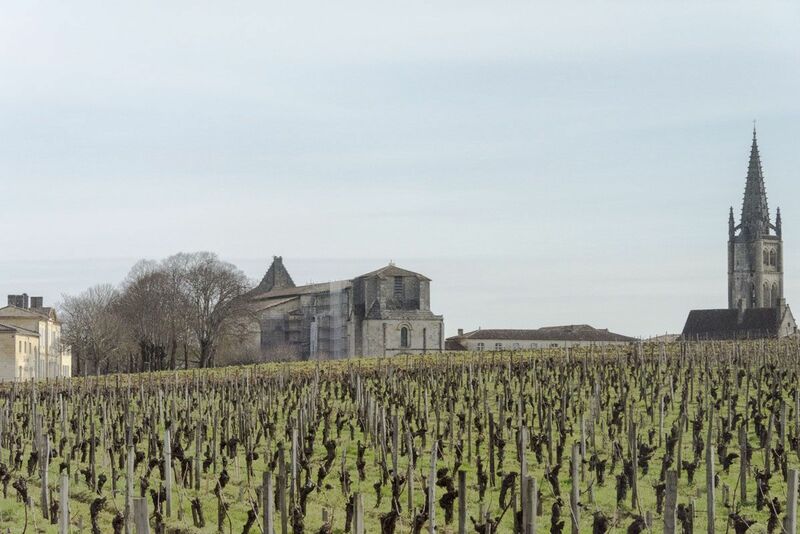 We chose to go on a tour to the Pomerol and Saint-Emilion, a brilliant combination that gave us the chance to visit two different wine-growing regions, both right next to each other on the right bank of the Garonne river. Pomerol is where one of Bordeaux’s most expensive wines, Petrus, comes from – bottles of Petrus cost literally thousands of dollars! Saint-Emilion is also a wonderful little village, where every other door seems to be opening into a wine store or wine bar. We had the chance to try several excellent wines, some of which cost almost €100 a bottle. Definitely an excellent way to spend a day out! Le Miroir d’Eau – we can’t miss it next time! 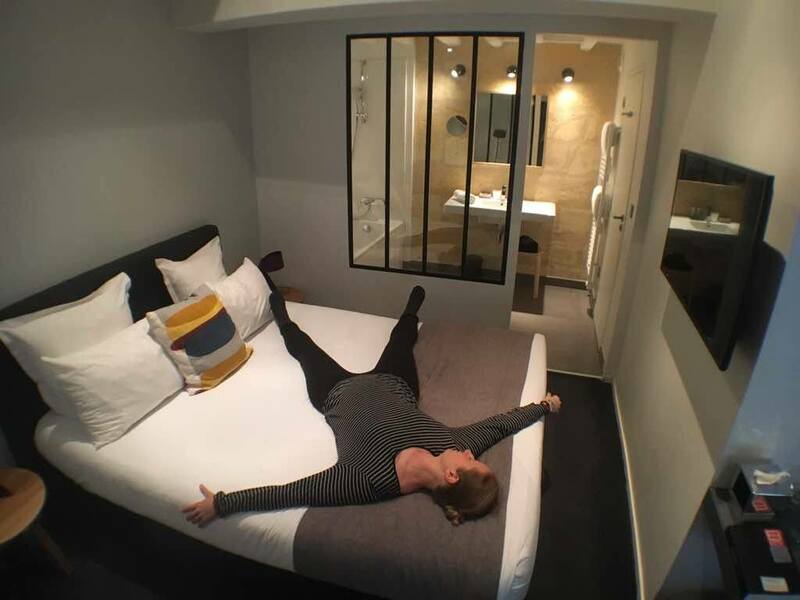 During our Bordeaux visit we spent three nights in the wonderful La Cour Carrée hotel, a stunning boutique hotel located in a reconverted 200 year old townhouse, retaining some of the original features while and combining them with a modern, minimalistic decor. La Cour Carrée’s location is perfect – it’s not far from Place des Quinconces, meaning still right in the centre, but away from the bustle of the busiest high streets. 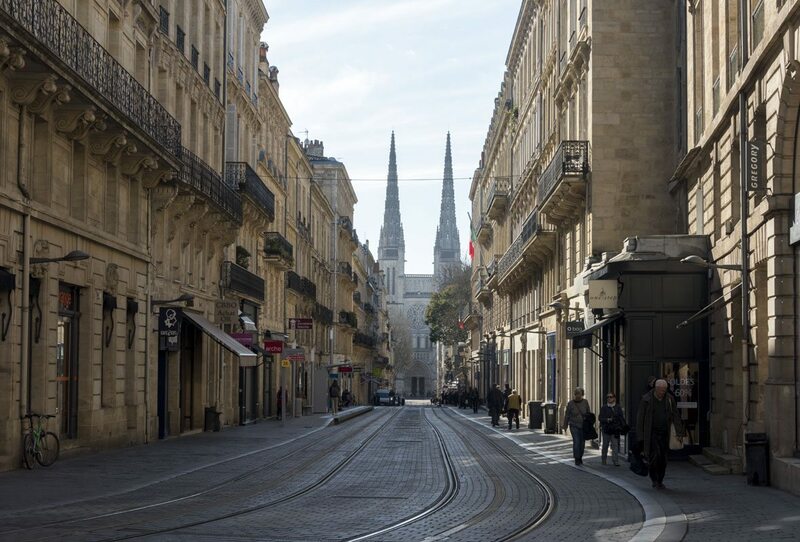 The river and Place de La Bourse are just a short walk away, and to go anywhere else you can hop on one of Bordeaux’s super efficient trams. La Cour Carrée also serves up lovely breakfasts every morning, with a selection of cereals, fresh fruit, yogurt and some freshly-baked French croissants and pastries. Right next to reception there’s also a beautiful patio full of plants, the perfect place to relax with a book and a glass of wine. 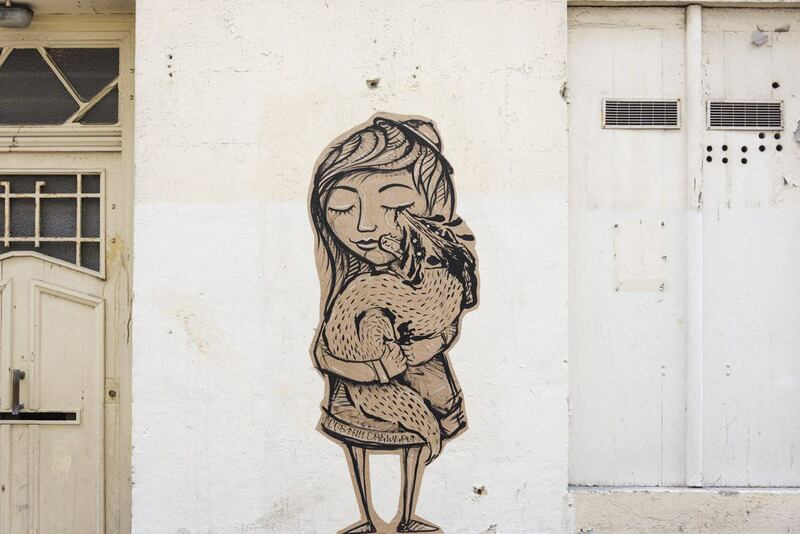 We fell in love with La Cour Carrée as soon as we saw their Instagram account – check it out! Bordeaux public transport is one of the best we’ve seen recently, with an efficient network that includes trams, buses and river boats. A single ticket costs €1.50 and it’s valid for an hour on boats, buses and trams, or you can get a 1-day ticket for €4.60. An alternative is getting a city pass, including entrance and discounts to sights and tours as well as unlimited access to public transport. We got the 1 day Bordeaux City Pass for €26 and found it to be excellent value for money. 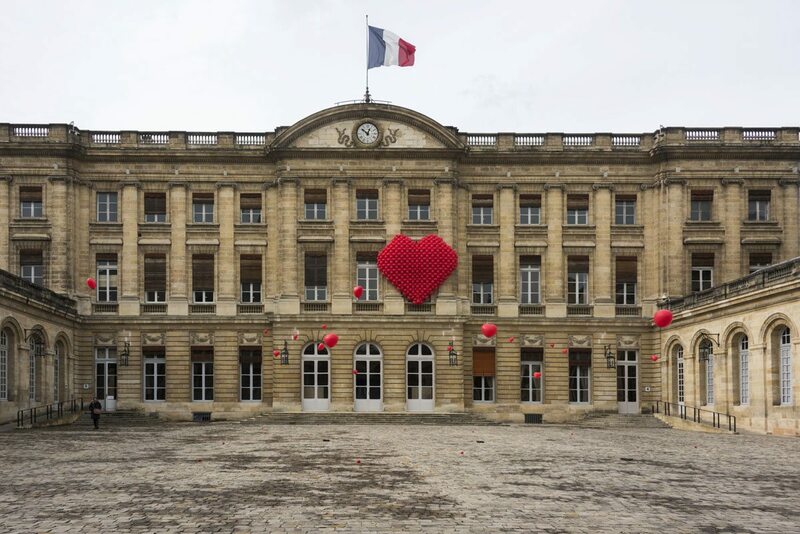 We would like to thank Bordeaux Tourism andLa Cour Carrée for having welcomed us in Bordeaux! This post includes affiliate links. 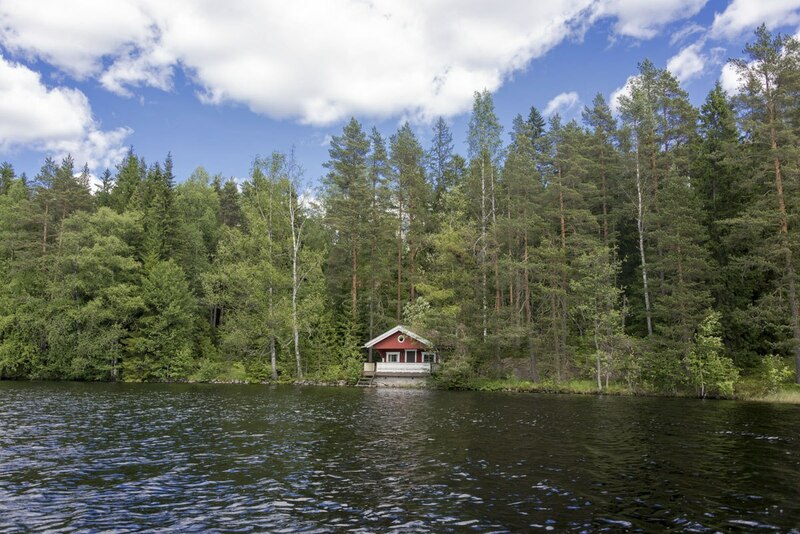 The Best Finnish Sauna Experiences – Relax Like a Finn!